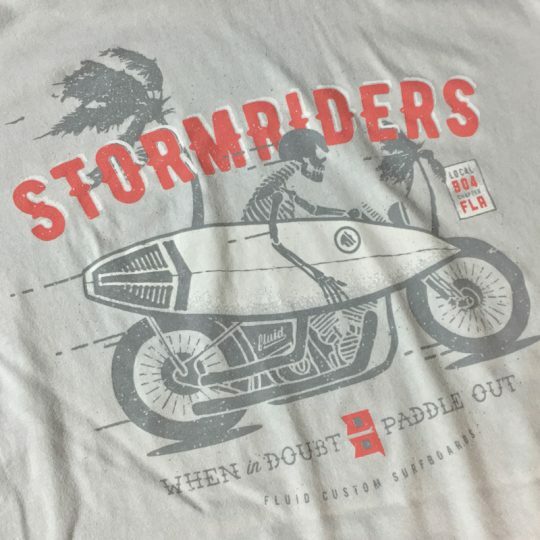 It's all about hurricane season here on the East Coast, and it ain't always pretty, but we're always up for the challenge. 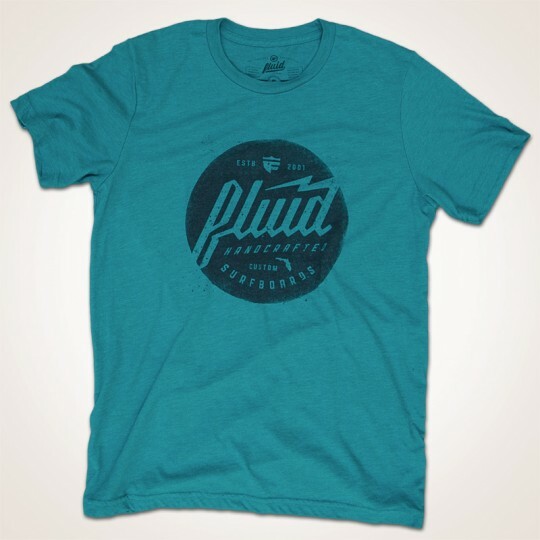 As it says "When in doubt, paddle out!" 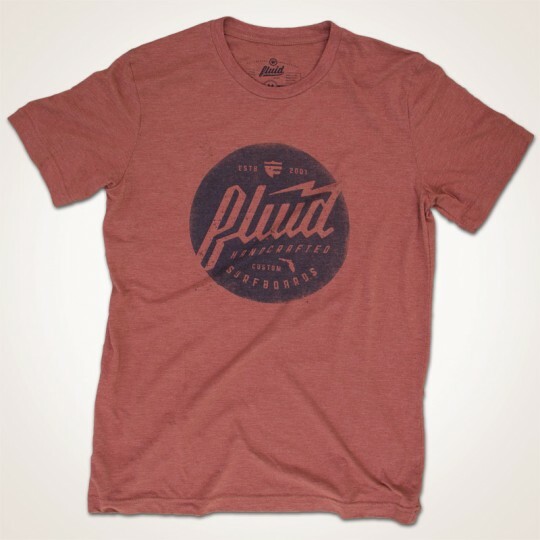 From our "ol' Softees" collection, tees don't get any softer or more comfortable. 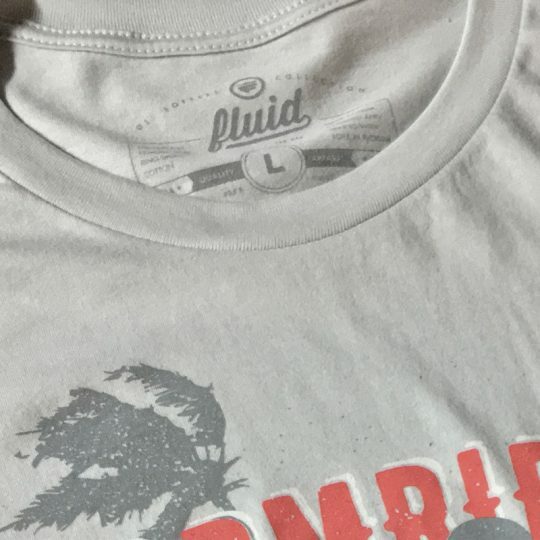 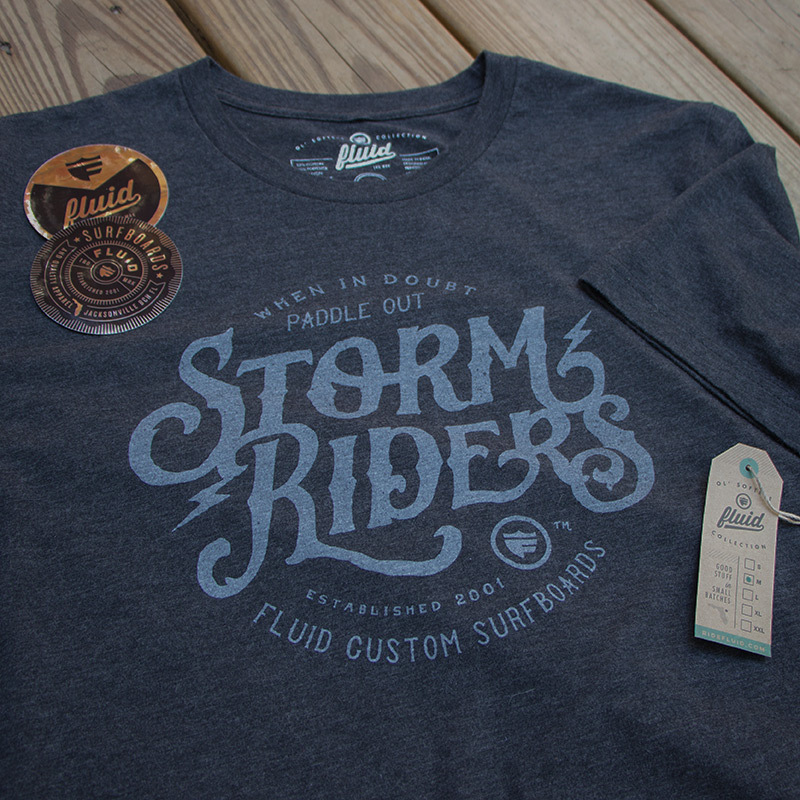 printed with water-based discharge ink on tri-blend charcoal heather tees with printed tags. 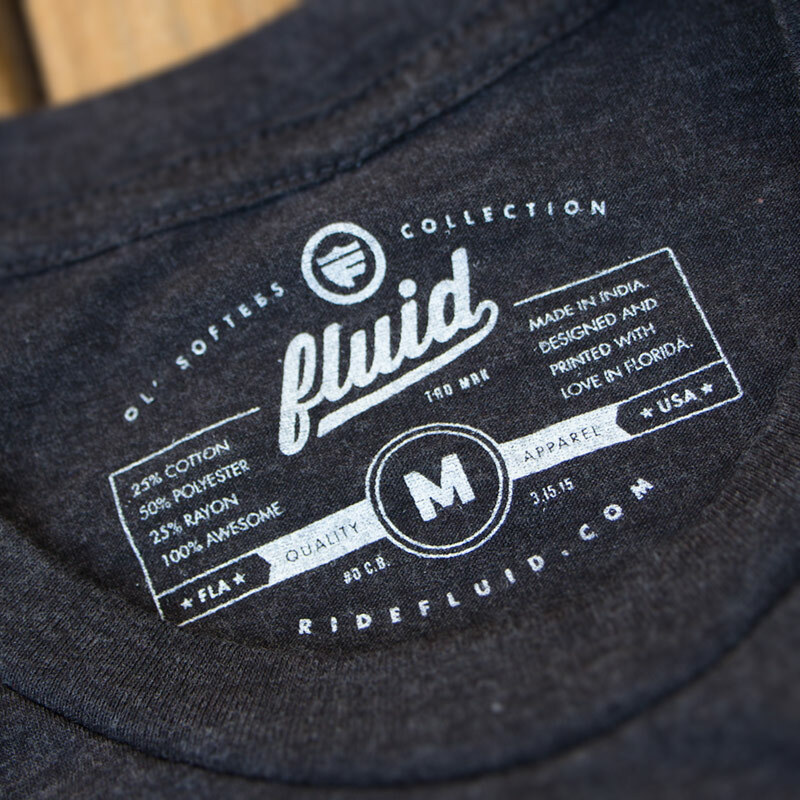 Includes 2 free black-on-chrome stickers! 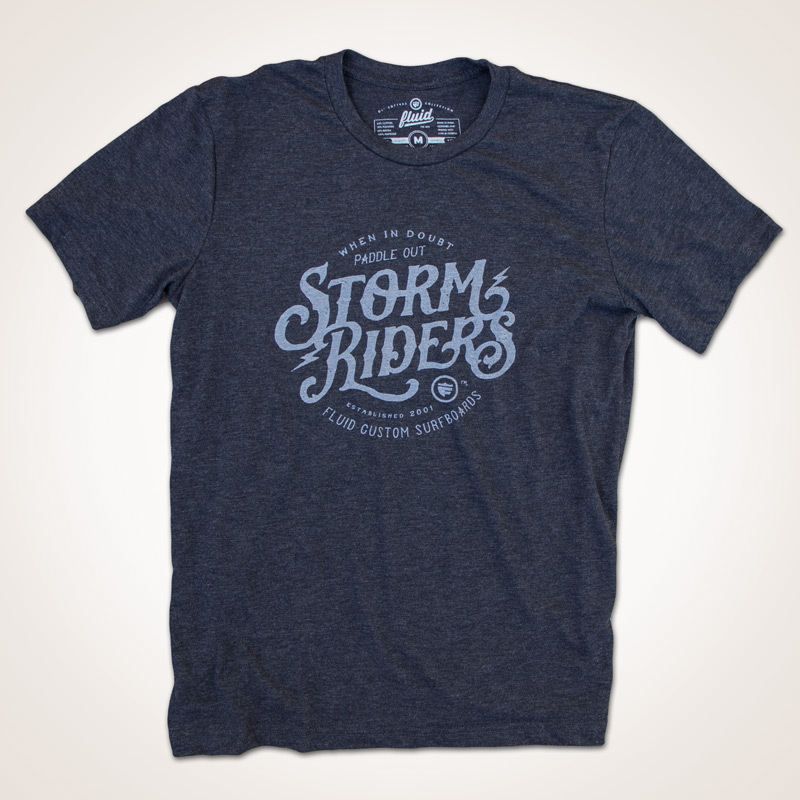 Big surf brand quality... from 3rd street, not Wall Street. 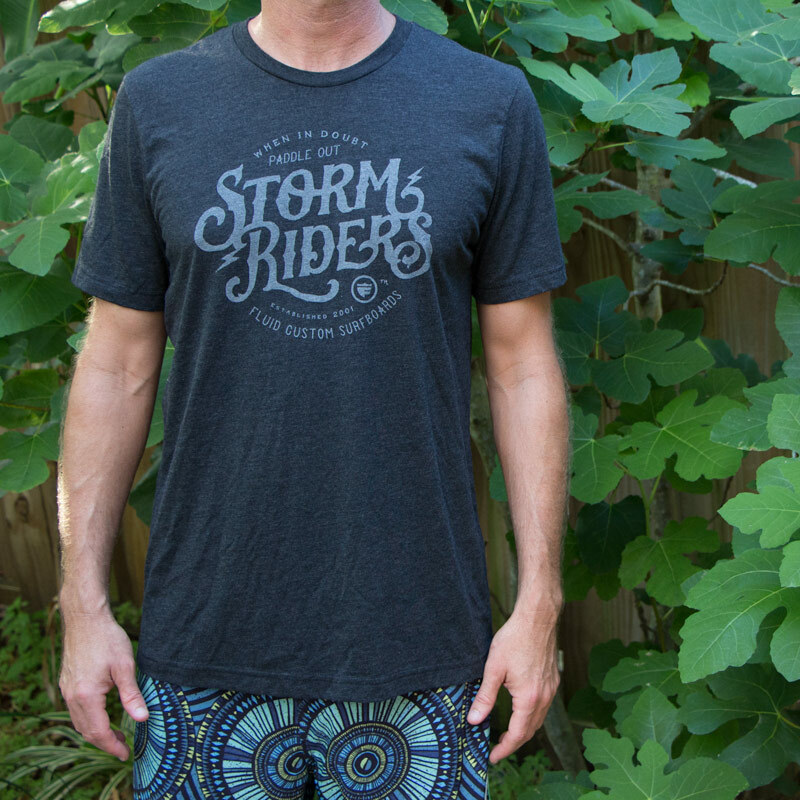 A no-feel print on super-soft unisex charcoal/black triblend heather tees: 25% ring-spun cotton, 50% polyester, 25% rayon. 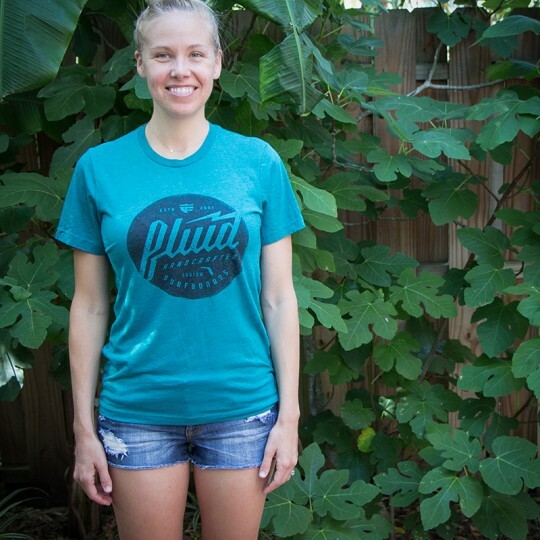 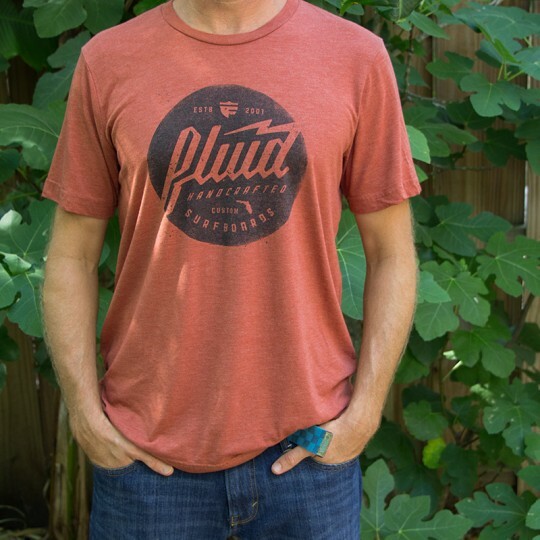 Modern, slimmer fit tees.